lipomed shirt offers you adequate compression after liposuction for gynaecomasty, of the axilla, of the arms and of the upper back for men and women. The skin-friendly material ensures the highest comfort in wear and also provides a perfect fit. Hooks and Velcro fastener: the combi fastener makes it far easier to put on. lipomed shirt woman is only available as the made to measure variant. 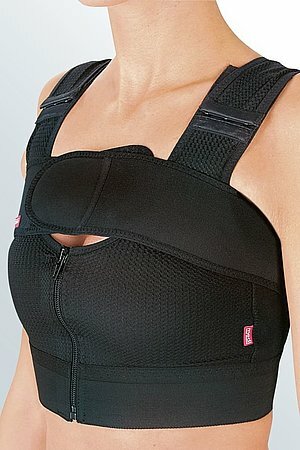 This guarantees that the required compression pressure is achieved for each individual body shape. 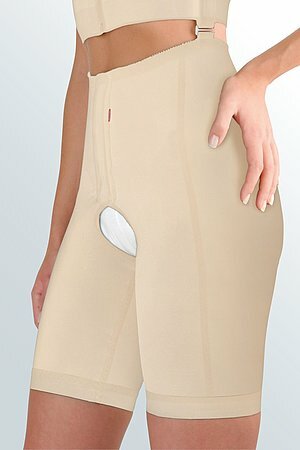 All seams are sewn on the outside to reliably prevent unwanted grooves forming in the skin.